The history that the textbooks left out. For far too long, American history has been left in the unreliable hands of those that author Donald Jeffries refers to as the court historians. Crimes and Cover-ups in American Politics: 1776-1963 fights back by scrutinizing the accepted history of everything from the American War of Independence to the establishment reputation of Thomas Jefferson and the other Founding Fathers, the Civil War, the Lincoln assassination, both World Wars, US government experimentation on prisoners, mental patients, innocent children and whole populated areas, the Lindbergh baby kidnapping and much, much more. Secular saints like Abraham Lincoln, Theodore Roosevelt, and Franklin D. Roosevelt are examined in a critical way they seldom have been. Jeffries spares no one and nothing in this explosive new book. The atrocities of Union troops during the Civil War, and Allied troops during World War II, are documented in great detail. The Nuremberg Trials are presented as the antithesis of justice. In the follow-up to his previous, bestselling book Hidden History: An Expose of Modern Crimes, Conspiracies, and Cover-Ups in American Politics, Jeffries demonstrates that crimes, corruption, and conspiracies didn't start with the assassination of President John F. Kennedy. History should be much more than cardboard villains and impossibly unrealistic heroes. Thanks to the efforts of the court historians, most Americans are historically illiterate. 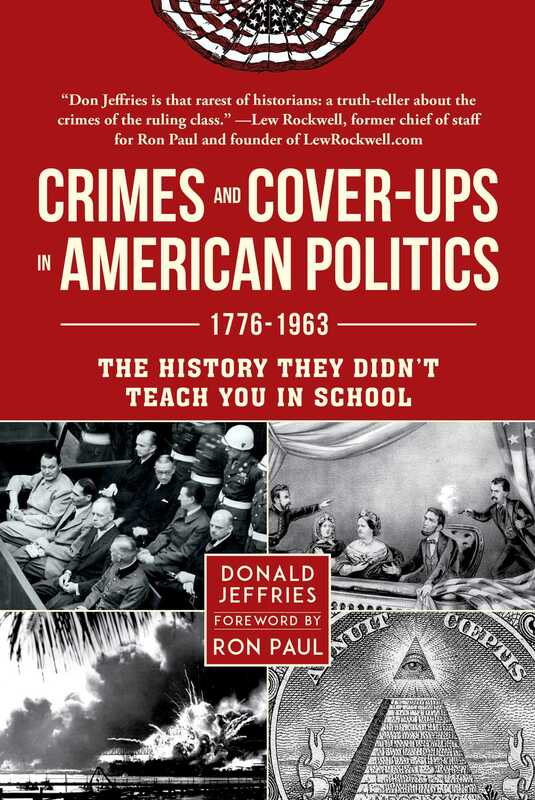 Crimes and Cover-ups in American Politics: 1776-1963: 1776-1963 is a bold attempt at setting the record straight.